You are currently browsing the tag archive for the ‘Baraga County’ tag. 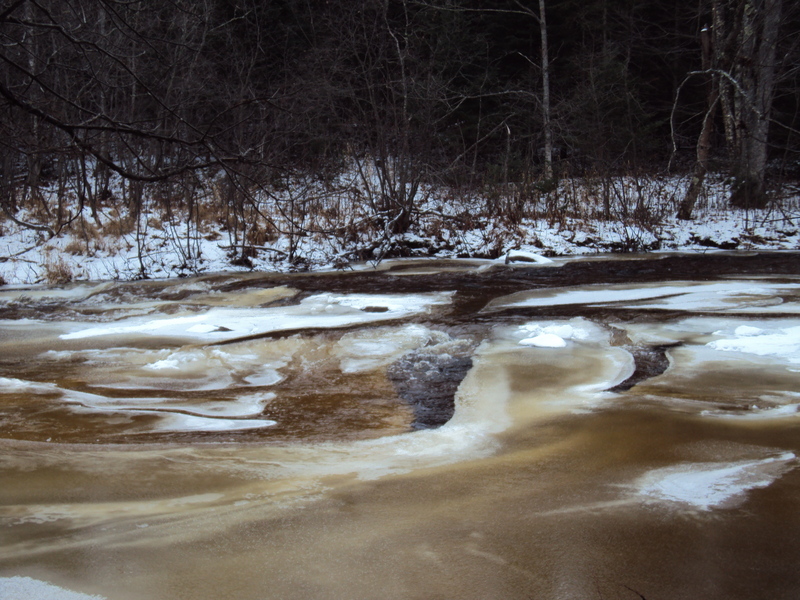 I’ve been fascinated by the patterns of the freezing rivers lately. 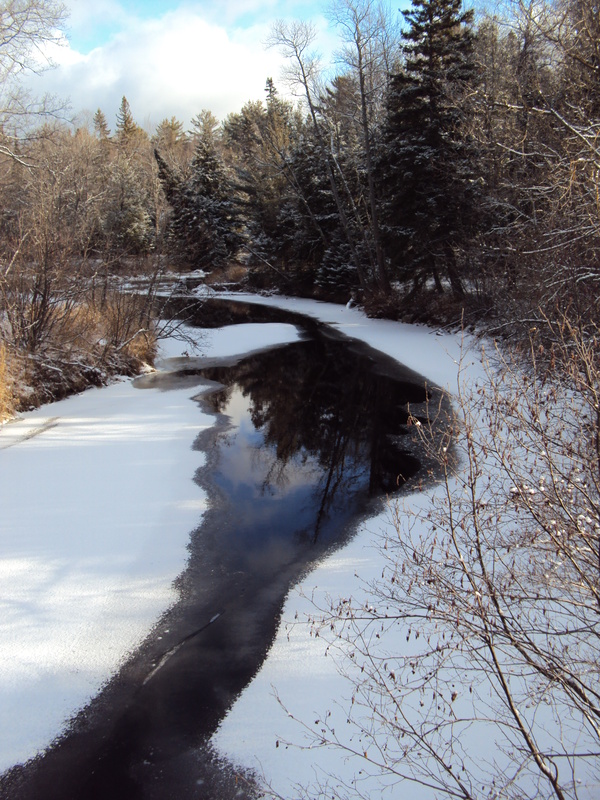 The rivers have been donning their winter garb of ice and snow, settling in for the long freezing days and nights. 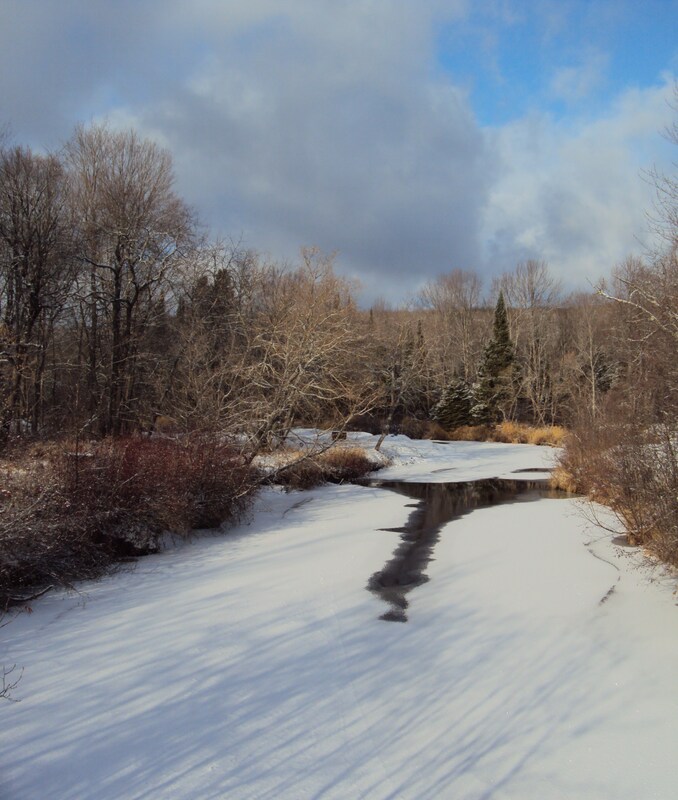 Yesterday I photographed the Silver River as it passed under Townline Road, but today drove a little distance up Skanee Road to wander along the river through the woods. How it meanders! 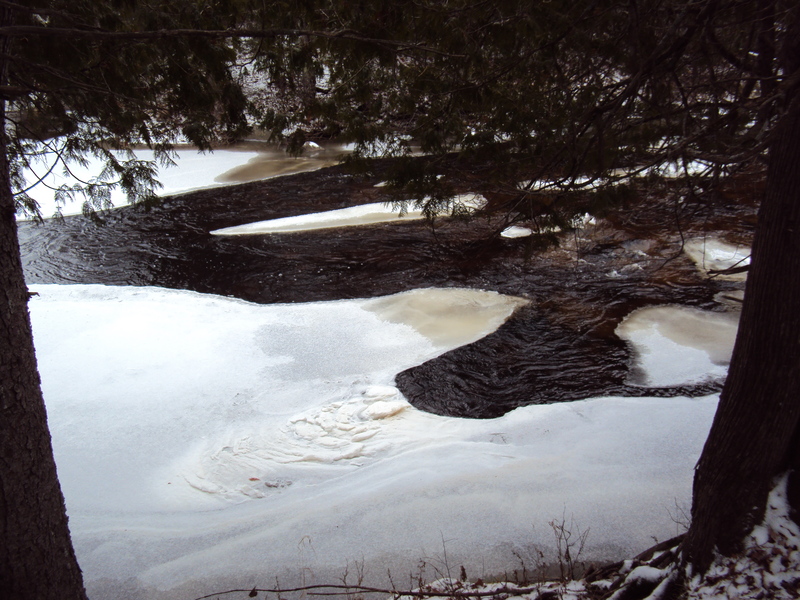 How the river dances around this bend and those rapids, never stopping, always moving. Until ice renders it deceptively silent and still. Don’t walk on it yet! 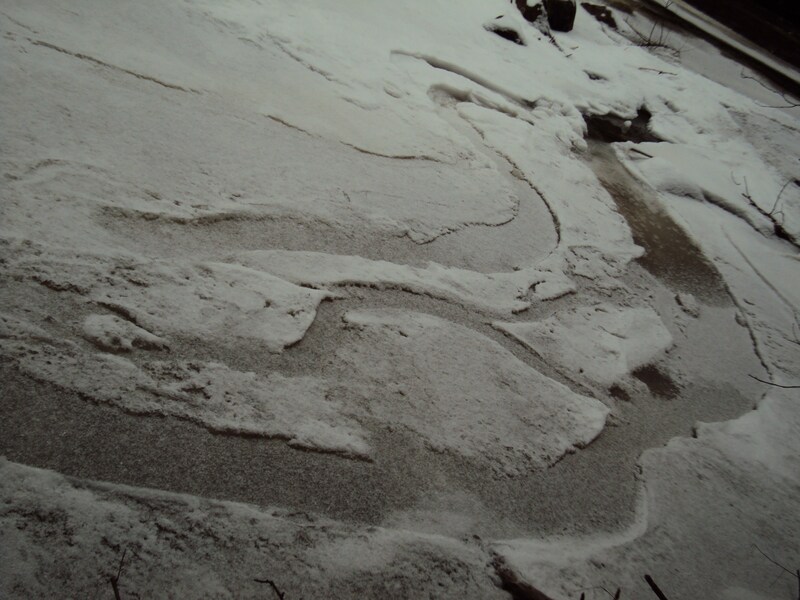 In fact, I have never walked on river ice. The currents still run beneath the silent frozen surface. Years ago I dreamed of falling through the ice on the Silver River, sucked down beneath the hard glass surface, unable to find a way to the hole, unable to find a way back up. It was not a happy dream. In some places the river looks muddy and brown. 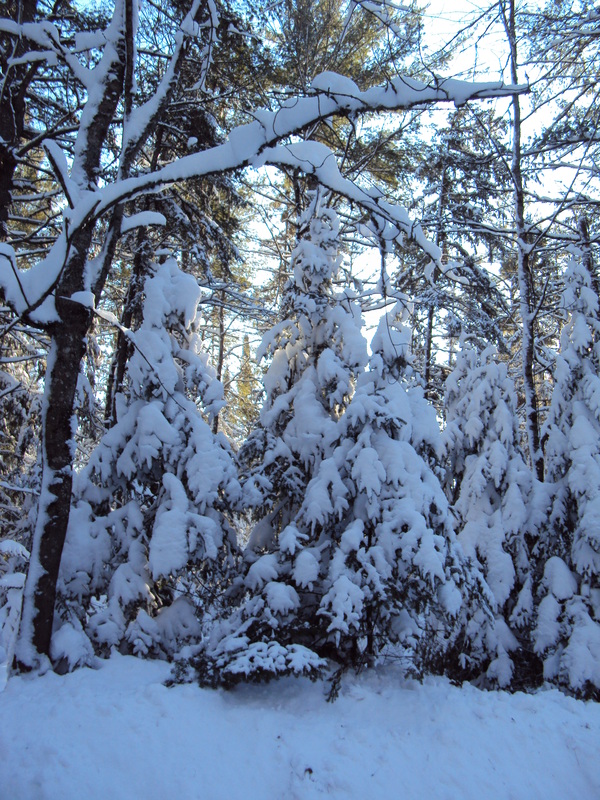 If you walk around the curve, it suddenly struts its beauty in stark white. Fascinating patterns swirl everywhere. 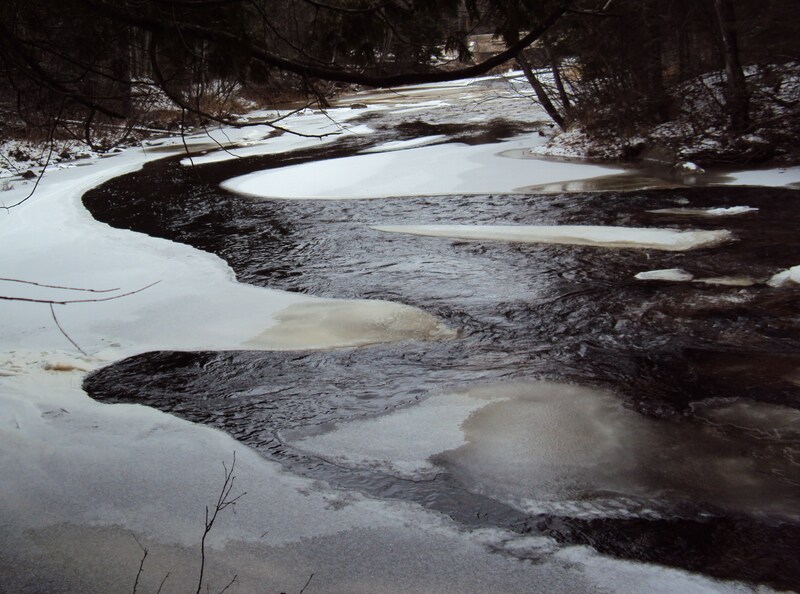 Rivers of ice exist within rivers of sparkling water. We are surrounded by such beauty that we do not notice. 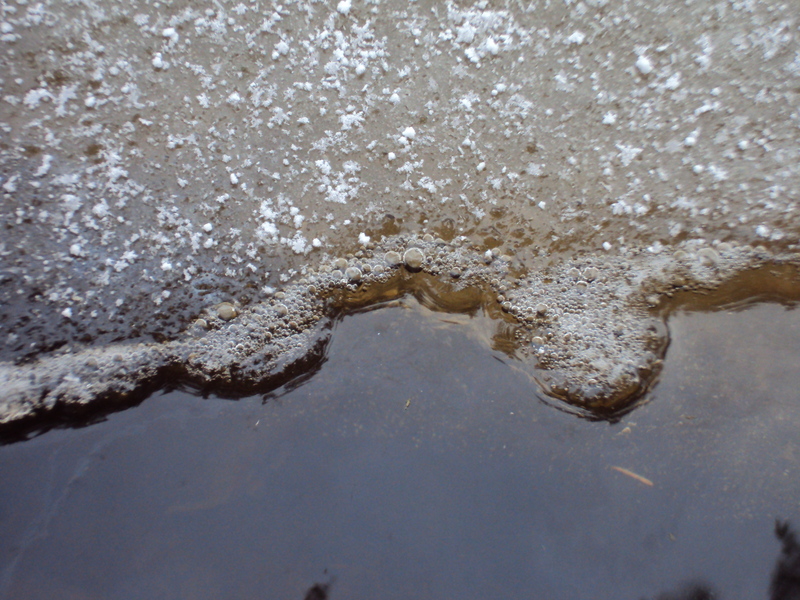 I have never before thought of wandering by the riverside documenting the freezing of river ice. Why don’t we think to do such things? 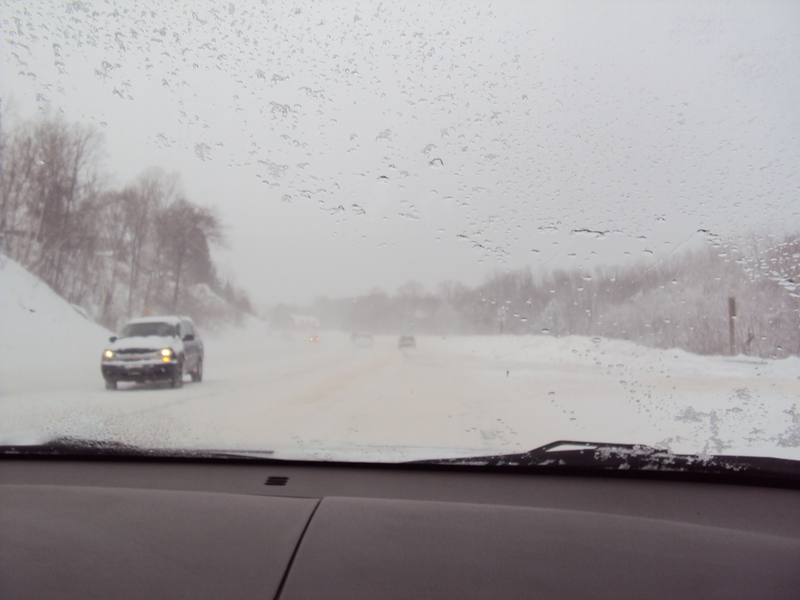 There are rumors that a big snow storm is headed for the Upper Peninsula. Maybe tomorrow? Maybe the next day? Some areas may get ten to fifteen inches. Baraga County is part of that warning. You can read about it here if you like. Sigh…winter seems to be starting awfully early this year. It’s lovely to sit inside when the snow falls. You feel so cozy and peaceful and snug. It’s even fun to put on your warm winter clothes and go outside. What is challenging is when loved ones (or one’s self) need to be on the road. 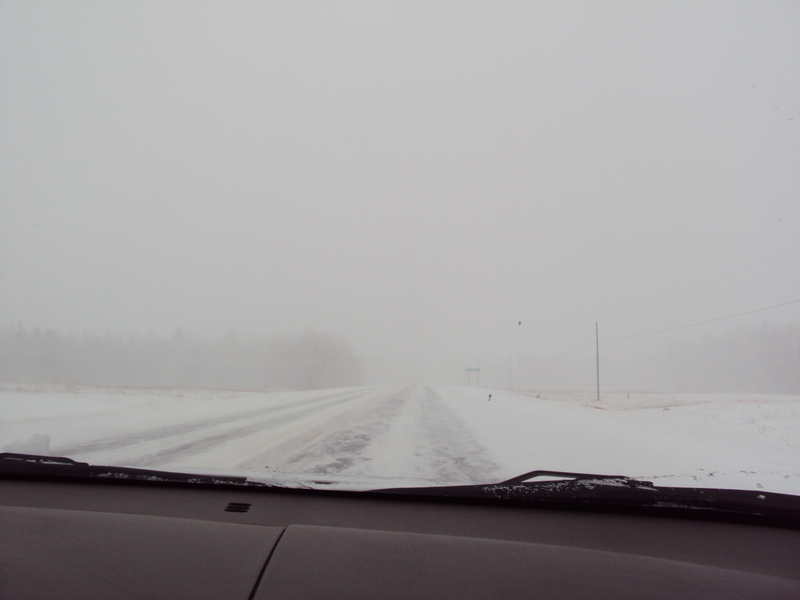 Driving in a snowstorm is no fun. The snow loses its appeal very rapidly. Welcome to our little township. I thought it was time to introduce you to some of the actual buildings which comprise our lesser metropolis. Our tiny villages in the woods. 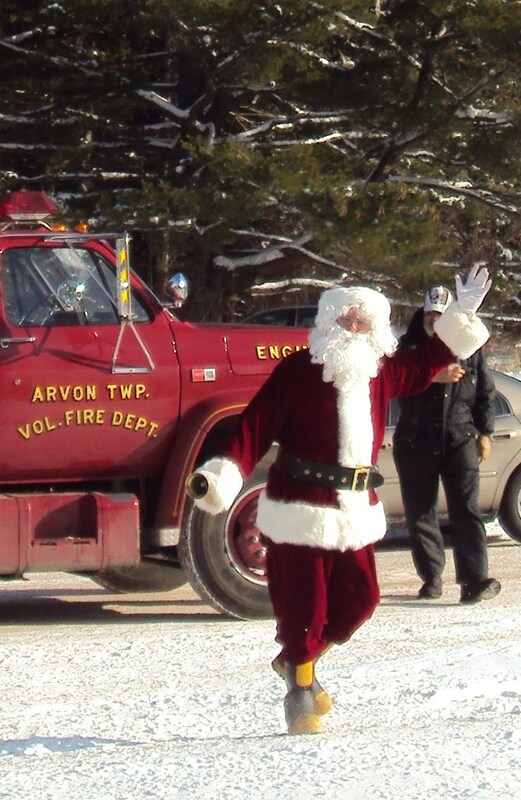 There are at least three town “areas” in the township: Skanee, Aura and Huron Bay. The buildings in the following photos are mostly in the Skanee and Huron Bay areas, within a five or seven mile radius. But we do feature a school, a township hall, a post office, a Trading Post, a tavern, a church, and a community hall within our boundaries. So are you ready for the introductions? Please meet our school. It is a K-6 school which is very dear to my heart. Mostly because I’ve worked there on a part-time basis as the business manager for many years. Both of our children attended elementary school here. 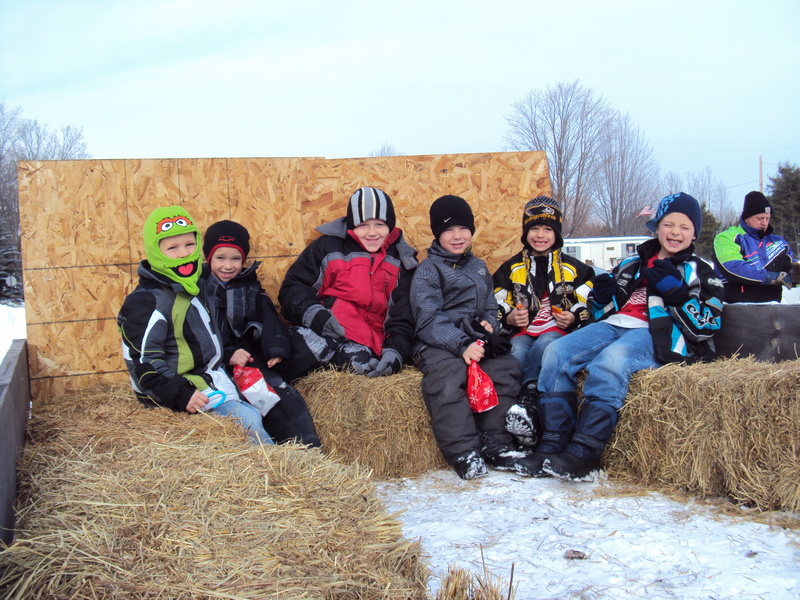 The total size of the school has fluctuated between five and forty students since the 1980’s. 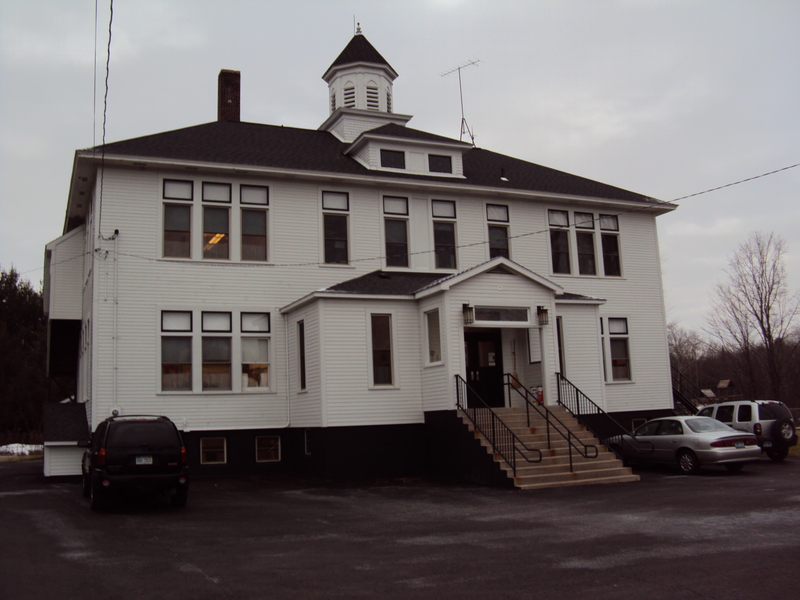 It is one of the last two-room schools in the Upper Peninsula. A few others exist, but they are few and far between. 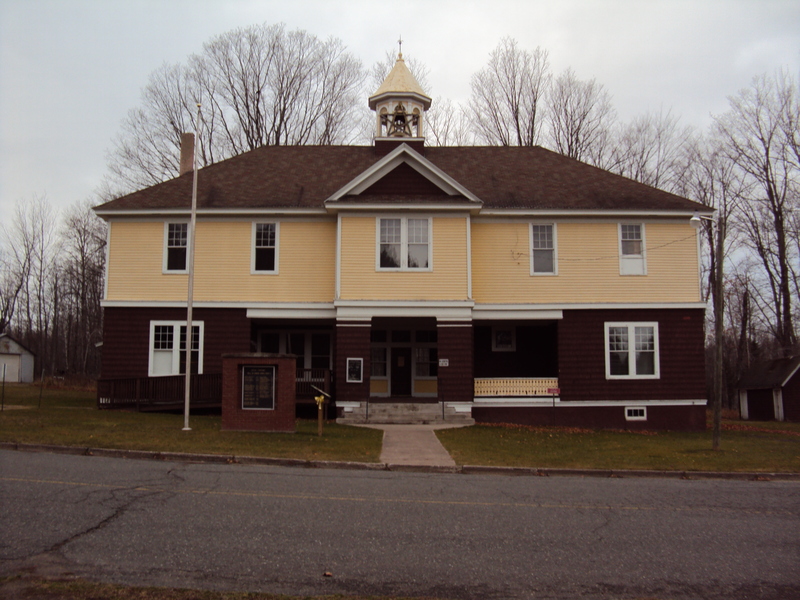 OK, I have to admit the Arvon Township Hall is precious to me, too. I have been the township treasurer there (well actually I work out of my home) since about 1984. We even feature a little post office! 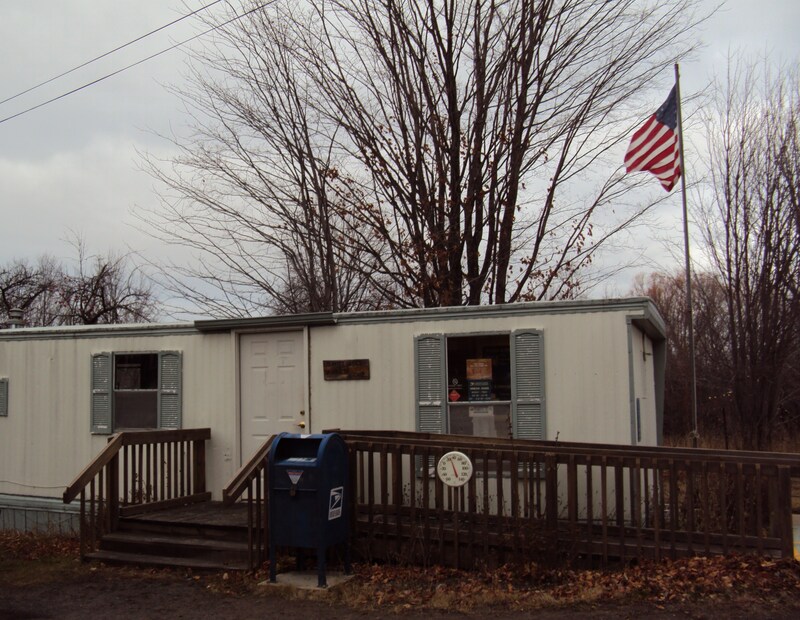 A very miniscule post office in a trailer. Probably one of the tiniest post offices around. I tried to convince our postmaster to pose for a photo in front of the post office but she declined. Where else can I show you on our little tour? How about the Trading Post? John is the owner and he’s a great guy. He wasn’t around to ask for a photo shoot. 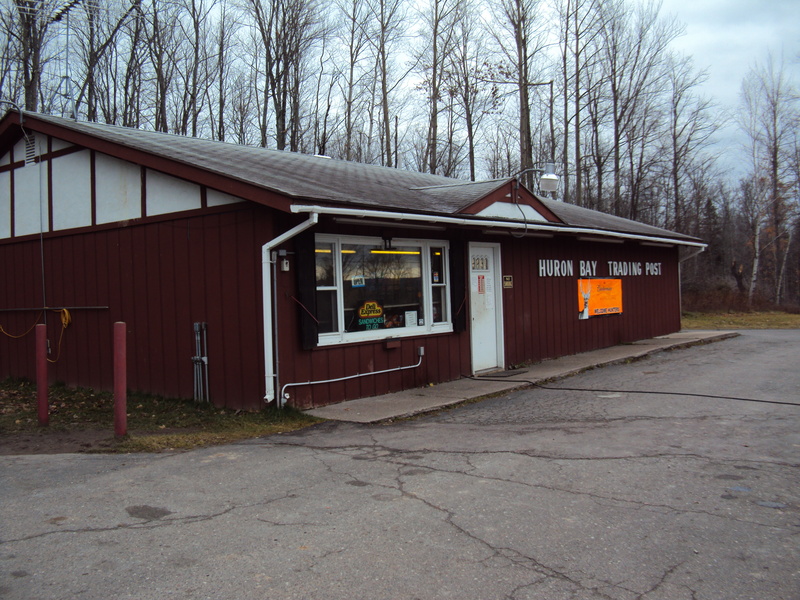 The Trading Post is where you go when you need supplies and don’t want to drive to town. I mean the “real” town of L’Anse. If your gas tank hits empty you head over here. If you need toothpaste, beer, candy, chips, cranberry juice or pickle relish…you know where to go. Aren’t we lucky to have a Trading Post out in the middle of the woods? 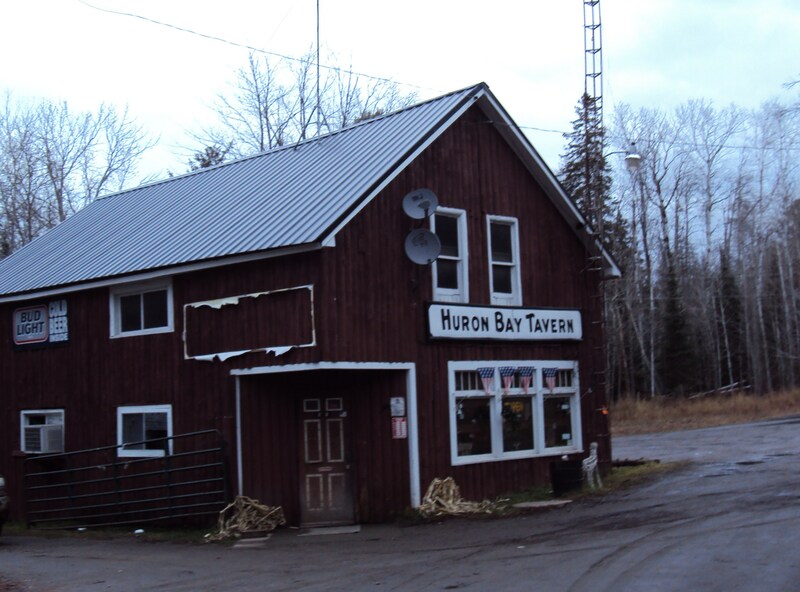 And if you want to sit down and have a beer or drink, drive just a short ways up the road to the Huron Bay Tavern. Also known as Billy the Finn’s (don’t ask why) it has been here for ages. Years ago we used to have another bar/restaurant called The Timbers where everyone went for fish on Friday nights, but it burned down. If you want to see the Aura Community Hall (with its famous annual Fiddler’s Jamboree please click here). If you want to see the pretty white Lutheran Church out in Skanee, you’ll have to use your imagination. I forgot to photograph it. I did, however, take a photo of our unofficial “used car lot”. 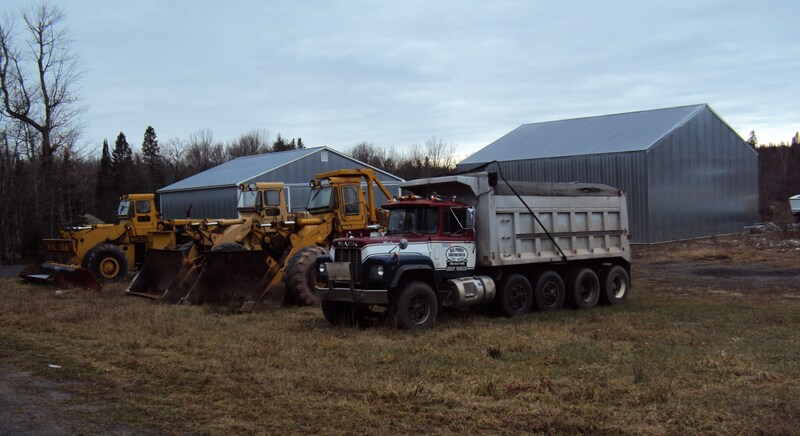 The owner has been selling lots of heavy machinery for several years now. I think this qualifies as a used car lot, don’t you? Anyone want to buy a dump truck? Loader? Hope you have enjoyed the tour. 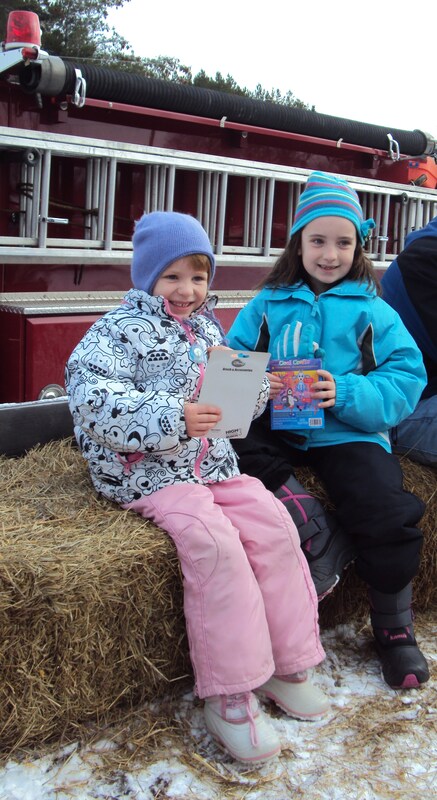 Please come and visit our little township along the shores of Lake Superior some day! P.S. Outdoor adventure on Day 349 of the outdoor commitment: walked up the road in the snow and back down the road in the snow. A little slippery. We must start walking very carefully on the snow now. 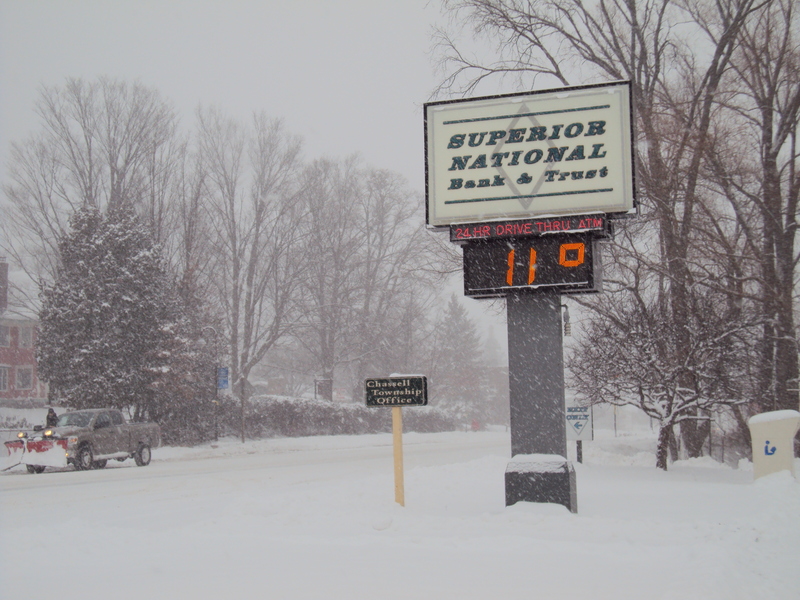 We only got a couple inches, but there are rumors that other places in the Upper Peninsula are getting more. Once upon a time there lived a man named Henry Ford. Henry loved to tinker and design. He loved to imagine. He dreamed of something called an “automobile”, a horse buggy with tires and a motor and a steering wheel. That was long ago and far away, and dreams sometimes do come true. Henry designed his automobile and sold thousands and eventually millions and perhaps billions by the time his fairy tale will end. But when he was still alive, back there in the 1920’s, Henry visited the Upper Peninsula of Michigan. Our fair earth, rich with trees and minerals and two Great Lakes. So Henry bought Pequaming in September, 1923. Went and bought the whole darn town. The village featured about one hundred houses, a general store and a hotel. Only a school and two or three churches were not added in the deal, which included 70,000 acres of prime timber. And, for incentive, he decided to pay his workers more than any other loggers at the time. When other workers were receiving $1.50 per day, Henry paid his loggers $3.50 for an eight-hour shift. He gained a reputation for “practicing forestry”–harvesting mature trees, leaving young, fast growing trees for an oncoming crop and ridding the young forest of fire hazards by removing brush. He pioneered forest record keeping. That wasn’t all he did. He then proceeded to raise the wages of his 300 workers from $3.50 a day to $5, insisting his crew punch a time clock. After three months, if they proved themselves, they received a $1 pay raise. After setting the mill in order, Henry proceeded to test his private theories on self reliance and education. He aimed to turn Pequaming into a “model town”. House rentals were increased from $1 to $12-15 per month, but in return all dwellings were painted and repaired. Ford Motor Company repaired the old mill, provided a new water tower and fire hydrants, as well as a Model A fire engine. In time, electricity, running water and indoor toilets were installed in all the homes. Who carved her name those many years ago? This all happened Once Upon a Time. By the late 1940’s or early 1950’s, after the Great Depression and World War II passed, Pequaming was a ghost town. The bustling village had almost completely emptied out. The windows were barred and shuttered, doors flapped in the breeze. More than 1,000 people once lived, worked, breathed, played and danced in this town. Now the ghosts lived here among the empty buildings and in the cemetery, ghosts who fondly remembered Henry Ford and his legacy. Tomorrow I will tell you more about his Model town, his social experiment. Can anyone guess why I am telling you this once-upon-a- time story right now? Can we say “I’m lost!” without being afraid? They say the mineral deposits beneath our Keweenaw earth will confuse even a compass at times. Your trusty reliable compass might suddenly go wacky, refusing to point to True North. What can you depend on when the compass fails you? Or, worse yet, when you’ve stupidly left the compass at home pointing to True North in the cluttered desk drawer? You gauge the sun (if you’re lucky and the sun is out) or the slant of the ravines. All of our ravines near the house run down to the bay, so you’re pretty safe if you remember this. You listen for far-away cars. This can help identify the location of the roads. This helps when there is ocassional traffic. Doesn’t help much when one car crests the hill every half hour. You become alert; you look for signs. You try to remember the landscape. You remember that you know how to build a debris hut out of leaves from your Wilderness Survival class. You know somebody might come looking for you if you’re not home to cook dinner. But, best of all, you can surrender to a Higher Knowing. And let that Higher Knowing guide you out of the woods. Thank goodness we have that! Just so you know…I haven’t been lost walking in the woods…at least not in the last month or so. But yesterday came another encounter with Being Lost. Sigh. Do we ever get used to it? Do we ever simply laugh and say joyfully, “I’m lost!” Hasn’t happened yet to me. Usually you have to deal with low-level fear, even if it never blossoms to full-fledged panic. It started because I was looking for photos of stunning leaf colors. Trees turning red and orange and yellow. The color-changing season is upon us. The trees are starting to zing! Just beginning to peak, but I wanted to document the way the woods is starting to shimmer. Especially when the sun shines bright between rain showers. So the car turned here, and there, and around this corner, and up that way, and down this hill. I thought I knew exactly where I was. Isn’t that always the case? Until suddenly the road petered out into a muddy two-track and it became apparent…I only vaguely knew where the car might be. Road and shadow, and what is that in the distance? Is it the lake? So the thoughts calmed down and I didn’t even have to start remembering how to build a survival debris hut. And ten minutes later, there was hard pavement and familiar houses. I was “found”, yet once again. The magic clicking heels or the Higher Knowledge or the road had wound its way back to comfort, a sense of safety, a Knowing of Where I Was. But truly, folks, do we ever know where we are? Is it possible to simply relax and know that we’re always lost and we’re always found? Ooops…getting way too philosophical on this outdoor blog! I’ll leave you with a photo I may have already posted on this blog. Can’t remember. But Jessica of Jessica’s Nature Blog asked to see some photos of pebble-faces or shell-faces. This is the only one I have. We shall call it “The Scream”. How we sometimes feel when we’re Lost. Does the rain cry for the unemployed? Sometimes it seems to rain, and rain, and rain. Wherever you walk, you’re soaked. The wet soaks into sneakers, socks, jeans. Droplets pour off rain jackets. It’s a Wet World. Wet sky, wet foliage, wet branch, wet life, wet river. Is Mother Nature crying at times like these? Or is that too much of a projection of human attributes on nature? I pondered crying today. Not because I was feeling persoanlly sad. 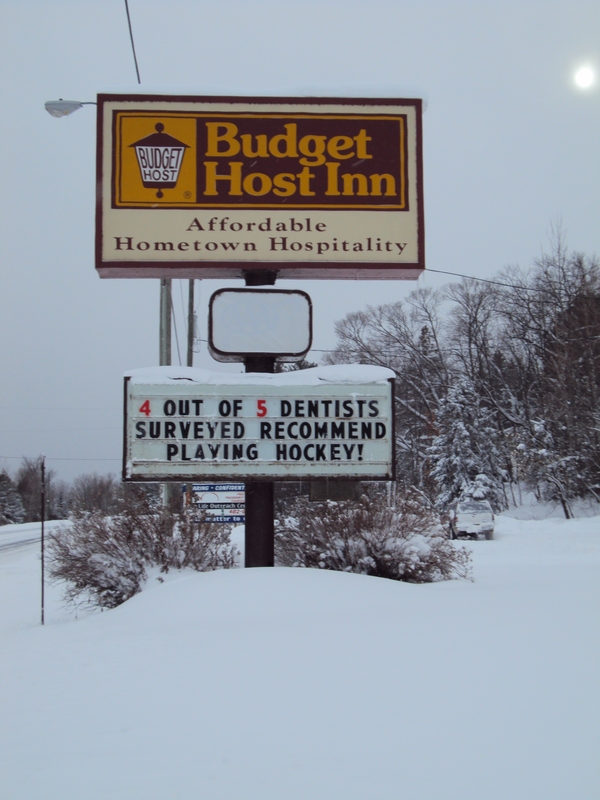 But simply because many folks in our Upper Peninsula county may be suffering right now. Struggling. Trying to figure out what to do next. Here is why people in our community may be crying in the rain this weekend, lamenting the passing of summer. 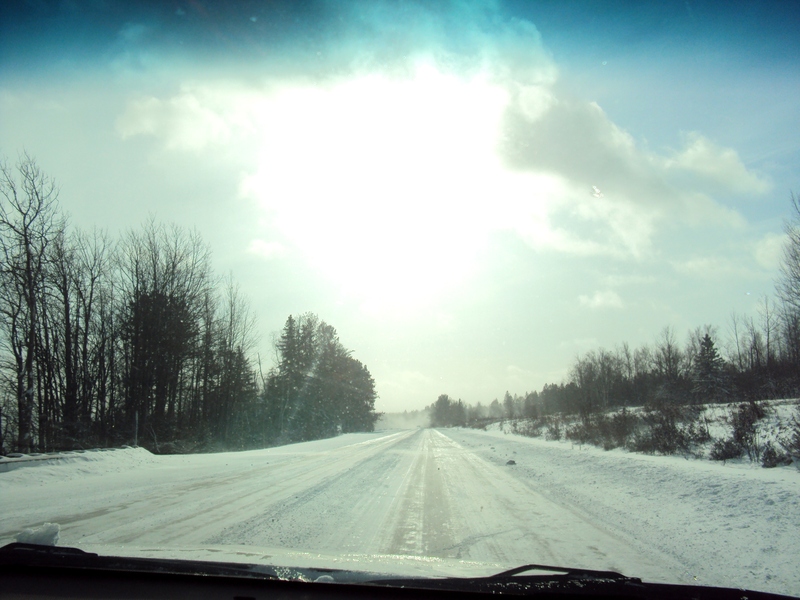 Approximately 24 percent of Baraga County’s population is unemployed right now. Up to 90 more folks just lost their job recently at Terex, a local employer, when the company decided to pull out and close its plant. We’ve always had high unemployment figures in this area. Our numbers traditionally top the state’s statistics. On a good year, our unemployment hovers around 7-8%, and during slow seasons (like winter break-up when the loggers can no longer operate their heavy equipment on the roads) the unemployment tops around 9-11%. It’s not a job-laden area. 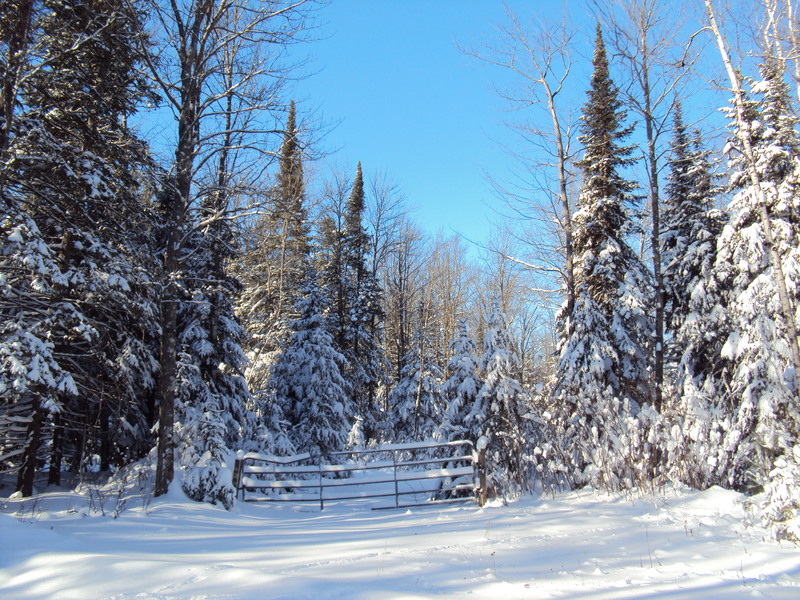 People make a living in the woods, the state maximum-security prison, the casino, a few companies and shops, the mines over toward Marquette. You might work in the hospital, the school systems, the county, the stores. But it’s not like there are infinite choices. Often tensions have sparked between those desiring more jobs for our people, and those trying to protect the environment from companies without sustainable nurturing practices. It’s a fine line which brings out tension on both sides. How do we care for the earth, but not at the expense of the people? How do we care for the people, but not at the expense of the earth? In July we made national news. Our county had the third highest unemployment in the whole country, unless you added Puerto Rico. If you toss in that little island, we were number four. Strangely enough, shop owners have complained that they can’t hire enough skilled workers from our area. They insist they advertise for workers–perhaps welders–and must hire out of the area to get enough skilled employees. Many folks do not want to work and find ways to minimize their time on the job. Yet, for every person who doesn’t want to work, there is a person who does. They just want a job. A way to put food on the table. To educate their children. To buy gas for the car and heating propane for the house. To realize the “American dream”. As the rain pours from the heavens and autumn temperatures dip down, how is the man feeling across the bay who doesn’t know where to work next? How is the woman feeling who is pregnant with her third child and no longer has a job? Can you imagine the panicked thoughts which might play in your mind? What to do next? How do we survive? Is our world falling apart? I try to imagine what this must feel like. What about the people who love the land, and don’t want to leave to find work in the larger cities? What about the people to whom family ties and closeness mean everything? How do you learn to live with the pressure of not having a job, of not feeling the safety net of employment? What if your skills are minimal and you have no time or money to go back to school? How do you survive? Blessings to those who are scared today. Who hunger. Who worry. Who wonder: what next? May those of us with jobs keep our eyes wide open to see what help we might share, if the opportunity arises. The September full moon shines upon us now. With her lovely white orb, she brightens our nights. Some call her the “Harvest Moon” honoring that many of our plants reach their full zenith now. The garden produce finds its way into our kitchens, canning jars and freezers. The Anishnabe or Ojibway people of this land called this the Wild Rice Moon. It was time to harvest the wild rice, known as manoomin, growing to full maturity in the small lakes or slow-moving streams. The natives would often utilize their canoes harvest the staple seed which would nourish them through the long, cold winter. They would bend the ripe grain heads with wooden sticks called knockers, threshing the seeds into the canoe. For a more detailed explanation click here. The wooden bowl in the picture belonged to my grandpa. It was a bean bowl. I am not sure what that means, except he grew up in farming country in Michigan’s Thumb where navy beans grew plentiful. We often enjoyed meals of baked beans while visiting on Sundays and holidays. I am wondering if they sorted through the beans in this bowl, picking through the beans to discard the blemished or rotten specimens. I am also wondering if the natives had wooden bowls like this in which they picked through the wild rice in the same manner. Right before the full moon rose last night, I traveled with Barry for an hour west to Ontonagon. He had to take pictures at a Baraga High School football game, and wanted to keep him company. Even though I was tired of traveling. It was kinda like a date. We ate fish at Syl’s Cafe and then caught the first half of the game. He suggested that I might want to title my blog “This was Once My Life”. Because for many long years it seemed like we spent many a fall evening at football games. Our son played for maybe five or six years before a knee injury required surgery. And then I continued to attend many games that Barry had to cover for the newspaper. Just so we could spend time together, you know? On to today, Saturday. Here’s the wrap-up. The most delightful indoor activity of the day was going to the new coffee shop in L’Anse. I have been so excited that we have been blessed with the first real coffee shop in Baraga County. Yes, the restaurants serve coffee. But we haven’t had such a selection of lattes and cappuccinos and wireless internet service. I parked myself down there this morning for an hour with Ms. Laptop and we had a great time. People in big cities (or even medium-sized cities) don’t understand what it means to get a coffee shop in a tiny little town. It’s big. Outdoor activities today: harvesting the garden and sitting on the deck. Yep. And I’m sitting outside on the deck right now with the traveling laptop and it’s still 74 degrees at 8 p.m. Life doesn’t get any better than this. My dear friend and former co-worker died this morning. It’s a day awash with tears, and the drenching rain (2.60 inches since it started early Friday morning) mirrors the tears. The skies are weeping because the earth misses Mary’s presence already. The heavens may be rejoicing, but the earth weeps. Because I spent most of the outdoor time today mourning, shall we return to yesterday? Scot, Karen, Keely and I decided to try the fine sport of letterboxing. It’s a pastime (like geocaching which is apparently done with the aid of a GPS) where you follow Internet clues to discover a waterproof box hidden in nature. An on-line friend suggested that I try letterboxing ‘way back last spring when she first read this blog. 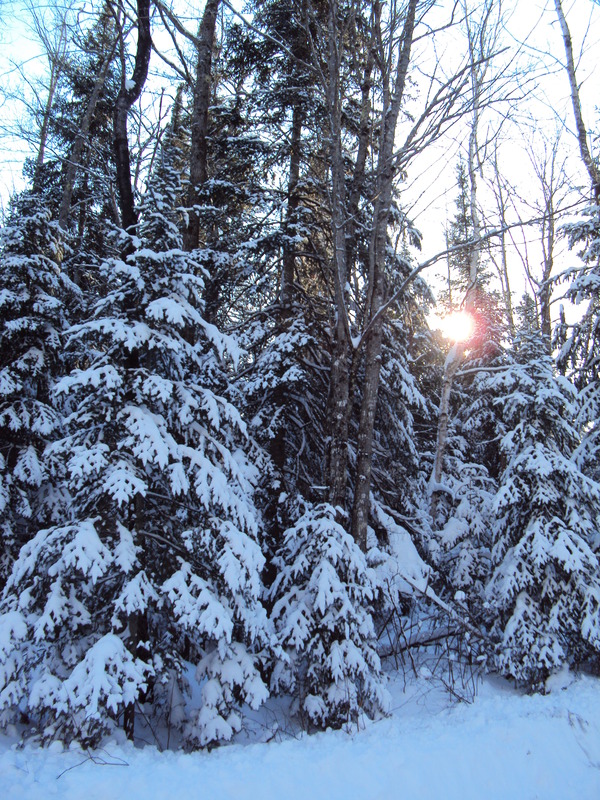 Because the only hidden treasure in Baraga County was posted at the Canyon Falls, way out of my usual path of travel, I decided to wait before following the clues. Yesterday’s trip with family proved to be the most opportune moment. We put Keely in charge. Tree with roots showing on the left. Roots. Don't you love them when they're exposed? Right 15 paces to giant log. Under a fallen tree and leaves and twigs. Let me tell you, this was the hardest three minutes of the treasure hunt! We looked. And looked some more. And still couldn’t quite locate the box. There was no way we were going to leave without finding it! And finally, yes, digging under a few leaves…there it was in its camouflage. However, the best was yet to come! You open the little index-card book and there are all the people (most who stamped the book with their special rubber stamps of perhaps an evergreen tree, or a wild bear, or a dazzling sun) with their hometowns and some penned words of interest or wisdom or fun. It was such a fun time. 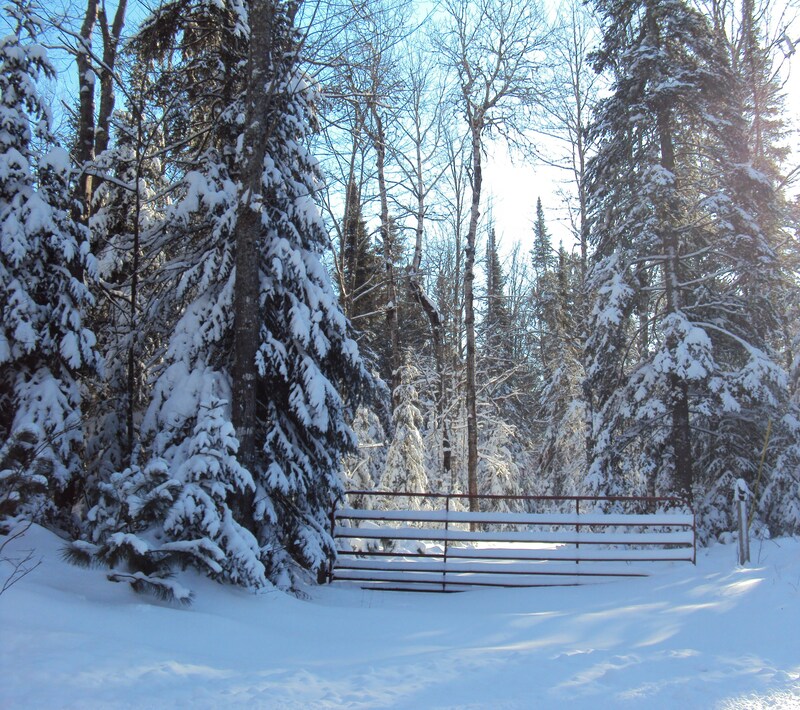 I discovered that there is one more letterbox somewhere in Baraga County, behind a local cemetery, and one day might decide to attempt to find it as well. In the meantime I am thinking about death today. And wondering about the “hidden treasure” which may have met Mary today. While the rest of us are still on the path, following the boardwalks of life, looking at the roots and rocks and waterfalls. Blessings, dear friend, wherever you may be tonight.